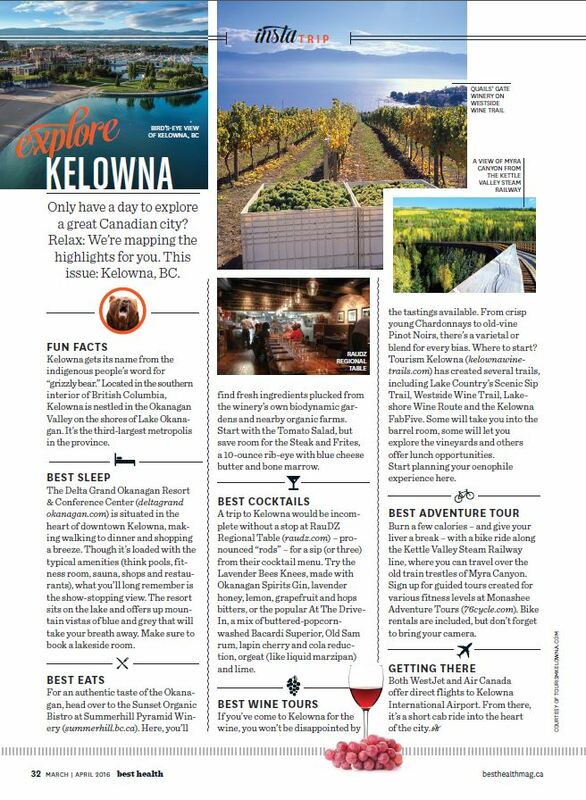 Best Health Magazine features local attractions in a piece titled “Explore Kelowna” in their spring (March/April) issue. Inside, this full page feature maps out some highlights of the best eats, sips, adventure, and more in our great Canadian city. 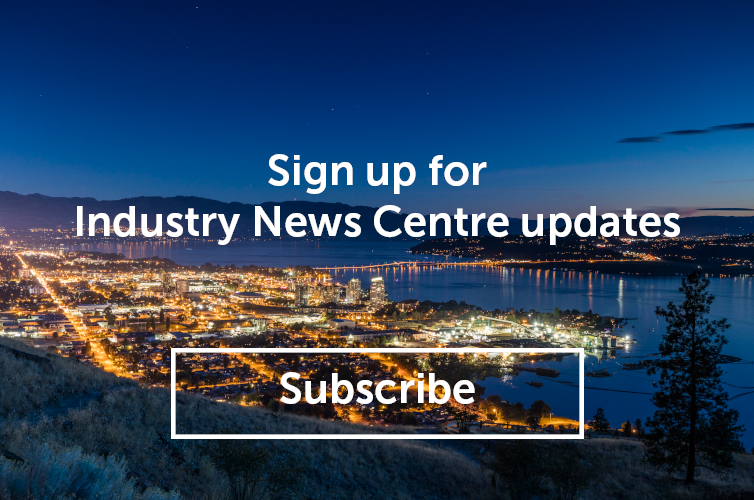 This article is the result of a familiarization tour hosted by Tourism Kelowna in September 2015. Mentions in the article include The Delta Grand Okanagan Resort and Conference Centre, Sunset Organic Bistro at Summerhill Pyramid Winery, RauDZ Regional Table, Okanagan Spirits, Monashee Adventure Tours, as well as our wine trails- Lake Country’s Scenic Sip, Westside Wine Trail, Lakeshore Wine Route, and the Kelowna Fab Five. If you have friends or family planning a trip to Kelowna and want some more suggested highlights to add to their itineraries, please feel free to give our experts at the Visitor Centre a call toll-free at 1-800-663-4345.